With an abundance of things to see and do in and around Port Elizabeth, it is hard to think why you would want to go anywhere else for holiday in South Africa. Here are just 101 reasons why you should come to Port Elizabeth. Travel back into the past and discover the historic heart of Port Elizabeth while walking the Donkin Heritage Trail with its 51 places of historic interest. Take in the rugged coastline, giant sand dunes, coastal bush and scenic countryside while driving the Sunshine Saunter Route. Crane your neck and look up at the skeleton of the last Southern Right Whale to be harpooned in Algoa Bay and a life sized replica of the Algoasaurus while visit the Port Elizabeth Museum at Bayworld. Come within arm’s length of the gentle giants of the bush and the rest of the Big 7 in the Addo Elephant National Park. Give a standing ovation after a comedy show, ballet performance or play at the Port Elizabeth Opera House, the last active Victorian opera house in the Southern Hemisphere. Port Elizabeth is hope to the African Penguin Hope Spot. See the largest breeding colony of African Penguins in the world while learning more about them at SAMREC and Bayworld. Feel the wind in your hair while galloping on horseback along the beach at Sardinia Bay. Mix it up and party with the locals in a township tavern. Roar along with the crowd supporting your favourite rugby team playing Super Rugby, Currie Cup, test match or in the IRB 7’s world series at the magnificent Nelson Mandela Bay Stadium. Watch the shoreline leisurely go by and try to spot some birds while Cruising down the Sundays River before disembarking and tackling some of the dunes forming part of the largest coastal dune field in the Southern Hemisphere. Boys love cars and at the technologically advanced Volkswagen AutoPavilion in Uitenhage boys will be boys. Unwind and forget about the stress of life while having a massage and pamper session at one of the city’s top health spas. Gasp at magnificent shore line views while doing an early morning hike on the Sacramento Trail along the coast between Schoenmakerskop and Sardinia Bay. Imagine you live on a farm while the kids pat and feed some fury friends at one of the touch farms around town. Play 18 holes of golf on a true Links course at Humewood Golf Club or a parklands layout at PE Golf Club or Walmer Country Club. Step out of the city and do game viewing from the comfort of your car right on the city's doorstep and spot rhino, buffalo, giraffe, cheetah, zebra and many other small game species at Kragga Kamma Game Park. Let your ice-cream drip on Shark Rock Pier while watching people on the beach or the boats in the bay. Allow a tour guide to take you into the heart of the African townships on a Township Tour and see the impact of the apartheid era, experience the traditions and take in the diverse cultures. Sip stylish cocktails at one of the Bay's award-winning cocktail bars. Imagine yourself living in the Victorian era while exploring the historical No7 Castle Hill Museum. Stand in awe at the beauty of our national flower, the Protea, and other Fynbos species on a visit to the Van Stadens Wild Flower Reserve. Spend the day soaking in the sun on Port Elizabeth’s white sandy beaches including Humewood, SA's oldest Blue Flag Beach. Swim under the watchful eye of the lifeguards, catch up on your tan or get creative and build a sand castle with the kids. Win while trying your hand at the slot machines, have a meal overlooking the lake, play a round of putt-putt or ride the carousal at the Boardwalk Casino and Entertainment Complex. Bring out your inner culture vulture and pay a visit to the Nelson Mandela Metropolitan Art Museum. Browse through the collection of South African, British and Oriental art as well as their temporary exhibits. Blow some bubbles and explore the scuba dive sites in and around Algoa Bay teeming with fish life, soft coral, ship wrecks and other fascinating features. Experience a gastronomical explosion while dining at one of the city's many excellent restaurants and enjoy a range of food from casual to gourmet. Discover a treasure while browsing the antique shops around Central and in Walmer. Escape the city and go for a stroll along some of the shorter trails in Settlers Park or take on the slightly longer Guinea Fowl Trail through the Baakens River valley. The aroma of coffee and fresh bread - Buy fresh bread for breakfast or order coffee and a gourmet sandwich at one of the artisan bakeries and coffee shops in Port Elizabeth. Smell the rubber and watch the fast and the furious take each other on at stock car racing at Victory Raceway or the Oval Track, track racing at Aldo Scribante or 4x4 challenges. Get some fresh air and go for a run, cycle, rollerblade or just a casual stroll along the beachfront promenade and Humpback Dolphin Trail. Visit the Old Railway Museum in Uitenhage - the station where SA's most famous trained baboon, Jack the Signalman, worked as an official employee of the Railways. Marvel at the giants of the deep as they breach out of the water while on an accredited whale watching cruise and keep an eye out for amongst others dolphins, sharks and the largest colony of the African Penguin in the world at St Croix Island. Browse the Kings Beach flea market on a Sunday morning and follow it up with breakfast overlooking the ocean. Admire the white lions at Seaview Game and Lion Park while also having the opportunity to see other predators such as the Tiger and Black Panther. Explore the garden town of Uitenhage and visit some of the town’s monuments and historic buildings including Cannon Hill, Langa Memorial, Basuto War Memorial, Anglo Boer War Memorial, City Hall and Victoria Tower. Everybody likes to receive a gift from returning travellers. Buy traditional crafts for loved ones back home at some of the African craft centres and markets. Get some fresh air by mountain biking on any of the great tracks in and around Nelson Mandela Bay (The Baakens River, Zwartkops, Longmore Forest and Van Stadens Wild Flower Reserve). See how the city used to look before the Group Areas Act destroyed South End, Nelson Mandela Bay’s own “District 6”. Visit the South End Museum and learn more about the vibrant suburb which is no more. Get dirty! Go Quad biking on one of several trails around the city with a local adventure operator. Enjoy a stunning seafood dinner at a restaurant overlooking the coast or grab fresh-off-the-boat fish at the harbour and treat your friends or family to a fish braai. Have a slice of cake and tea at one of the many pleasant family-friendly tea gardens while the kids have a ball in the play areas. Nature on our doorstep - Let your guide teach you more about the fauna and flora of the area on an open drive vehicle through the Grysbok and Cape Recife Nature Reserves. See how the artisans of old plied their trades by visiting the Cuyler Manor Museum in Uitenhage – restored and furnished in the style of its day. Shop for great fresh food and home made products at the Lady Slippers Farmers market, Valley Market in the Baakens Valley, The Goodnight Market and the The Beachfront Food Market amogst others. For dates check out our events page at https://www.nmbt.co.za/list_events.html. View Port Elizabeth from a different angle by climbing the Donkin Lighthouse, ascending the Campanile’s 204 steps and visit Fort Frederick - all of which are historical buildings with great views situated within the city centre. Live in the lap of luxury and experience one of the world class private game reserves around the city, most offering 5 star meals and accommodation along with a Big 5 game experience. Let the kids explore the rock pools along Marine Drive, Cape Recife, Schoenmakerskop and the Sardinia Bay Nature Reserve at low tide. Use your imagination and fly off with one of the historic aircraft at the SA Air Force Museum or why not just try the flight simulator. Don a wetsuit and take to the waves as you learn how to surf at one of PE’s great surf spots. Discover local art treasures by browsing through some of art galleries showcasing local artists. Learn more about the historical development of Uitenhage and surrounds by visiting the Drostdy Museum with all its Africana exhibits. Party and jive with some local jazz and soak up the vibe in Parliament Street. Go “awwwweeeee” at the SAMREC facility at Cape Recife Nature Reserve where rescued penguins and other marine birds are treated and rehabilitated. Here the staff will show you around the facility for a hands-on experience. Visit the historic Bethelsdorp village to photograph the Van der Kemps Memorial Church, Alms House and Mission Bell. Allow Happy Valley with its colourful lights and popular children’s character sculptures to take you back to your childhood years while you meander amongst the landscaped lawns, shady trees, lily ponds and trickling water features. Discover the Baviaanskloof Mega Reserve and UNESCO World Heritage Site with its magnificent 4x4 trails, hiking, birding, camping and just getting away from city life. Don’t like sand between your toes? Relax next to (or inside) the McArthur’s Pool or enjoy the thrill of the Super Tube. Salute the soldiers at the Prince Alfred’s Guard Museum in Central which houses military exhibits in the Regiment’s historic Victorian Drill Hall. Book a guided City Tour with a local tour operator and allow a registered and knowledgably guide to show you around the city’s attractions, beachfront and historic buildings. Hike along the Roseate Tern Trail in the Cape Recife Nature Reserve and take in the unspoilt beaches, natural dune vegetation, rocky outcrops, a lighthouse built in 1851, an old military outpost and bird hide. Pay tribute to the horses that served and died during the Anglo Boer War by visiting the Horse Memorial, one of only two memorials in the world dedicated specifically to horses. Grab your hiking boots and binoculars and head into the unspoiled Groendal Wilderness Area outside Uitenhage. Treat yourself to a helicopter flip over Nelson Mandela Bay and see sights such as the Cape Recife Lighthouse and the Swartkops River Estuary from the air. Admire the works of arguable South Africa’s greatest military aviation and maritime painter at the GFI Art Gallery. Stand next to the figure of Madiba at the head of the Voting Line while craning your neck to look up at the largest South African flag in the world. All three of these and 64 other art pieces can be viewed along Route 67. Take the kids for a ride on the delightful miniature railway, complete with station, overhead pedestrian bridge and tunnel at Londt Park in Sunridge. (Every first Sunday of the month). Be part of Nelson Mandela Bay’s annual flagship events. These include Ironman, IRB Rugby 7’s, Splash Festival and the Summer Season activities including the annual opening of season on 16 December. Spend a day at the Island Nature Reserve in Seaview and hike one of the trails on the Bushbuck Hiking Trail. Stop at the Nanaga Farm stall and get one of their famous pies, roosterkoek and pineapple juice. Search for bargains and gems at Art in the Park in St. Georges Park. (The last Sunday of every month). Pull out your binoculars and go on a guided bird watching trip to Swartkops, Settlers Park or Cape Recife. Borrow a book from the Port Elizabeth Public Library. Constructed in 1902, it is a magnificent and impressive example of Victorian Gothic architecture with a number of beautiful stained glass windows. Experience one of the most sought after river trails in the country by doing the overnight Nukakamma Canoe Trail along the Sundays River. “I’m afraid of no ghost!” - Keep an eye out for ghouls and ghosts on a guided Haunted Walk around Central. Tackle the sea off Kings Beach by getting a professional kite surfing lesson. Ride on the back of the largest land mammal while exploring what nature has to offer. Explore the gardens at St George’s Park and discover places like the open-air Mannville Theatre, Pearson Conservatory and the Prince Alfred Guard Memorial. Entertain the kids and adults alike, sun or rain, with fun filled activities such as Ice Skating, Ten-Pin Bowling, IMAX and 3D cinemas, Indoor Trampoline, Go Carts, Putt-Putt and so much more. Climb the giant Maitland dune, enjoy the view and run, slide, sandboard or roll back down. You choose. Experience a local music, theatre or comedy production at one of the many arts and entertainment venues. Learn the art of sand boarding while speeding down side of one of the biggest sand dunes at Colchester. The lesson will also include how not to meet the dune head first while crunching sand between your teeth. Do the Mexican Wave and cheer on your favourite cricket team at St. Georges Park Cricket Stadium. Catch the big one! Grab you rod and tackle and head out to one of the many rock and surf fishing spots along the coastline or go out on one of the deep-sea game fishing cruises and try to hook a yellow fin tuna. Enter or simply enjoy the excitement of the annual Algoa Bay Tuna classic or Stock Fish Derby. Shop 'til you drop at any one of Nelson Mandela Bay's fabulous shopping malls. Take part in one of the events that forms part of the popular Ocean Racing Series that is held regularly on the Port Elizabeth beachfront during the summer months. These include swimming, surf ski paddling and beach running. Pack a picnic basket and book and head over to Victoria Park, Schoenmakerskop or somewhere along the beachfront for a break. See how brave you are and visit a reptile centre where you can either view or touch and interact with snakes and other reptiles. Drink a beer while experiencing how it is made on a Bridge Street Brewery tour. Enjoy dinner and drinks in the trendy suburb of Richmond Hill, watch a movie in an outdoor cinema or spend the afternoon strolling around some of the boutiques in the area. Be amazed by the process of how mohair gets washed, dried, spun into tops and ultimately woven into the most exquisite blankets and clothing on a Mohair Factory tour in Uitenhage. Use Nelson Mandela Bay as a base to visit the many cultural, sport and music festivals held in and around Port Elizabeth. Join in the fun at the Algoa Bay Yacht Club with social Wednesday Evening Sailing which is open to all who want to; “try before you buy”. Admire the stained glass windows in the Public Library, St Mary’s Cathedral, St Augustine’s Cathedral and other old churches around Central. Lets the kids’ imaginations free as they explore and discover the amazing scientific exhibits in the Nelson Mandela Bay Science Centre in Uitenhage. Join the locals for a traditional township meal of amagwinya (vetkoek) and sliced polony, beef stew and roosterkoek (bread made over the coals), lambs liver and onions or buy your meat at a butcher and have a good ol’ township Chisa nyama (braai or barbeque). Take a hike next to the Swartkops River and watch the Flamingo's play in the river. Watch the sun set on a beautiful day either over the city from the beachfront, over the coast at Schoenmakerskop and Maitland or on a game drive over the African bush and raise a glass on a magnificent Nelson Mandela Bay experience. Knock down some pins with the family and friends while having a drink at either Lighthouses Entertainment at the Boardwalk or Oasis Tenpin Bownling. 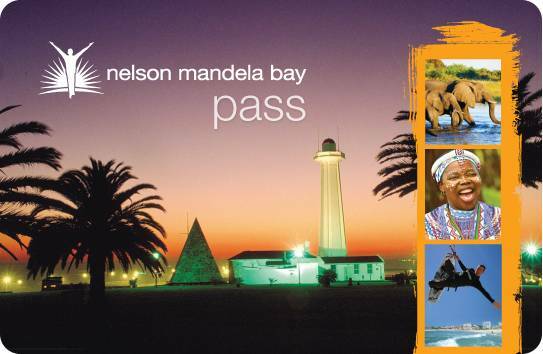 The Nelson Mandela Bay Pass gives you free and discounted entry to most of these and more! So get one on your next holiday in Port Elizabeth. Sure we missed something so why not comment below and tell us what else there is to do in Port Elizabeth. Share the PE love and follow us on Facebook and twitter.